Fireplace inserts AIR / BeF Twin II - Fireplaces, fireplace inserts, stoves of BeF Home, Ltd. 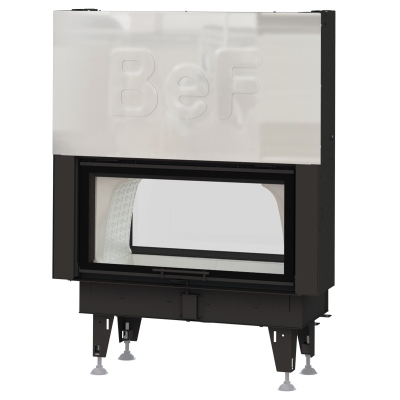 Exclusive series of look-through fireplace inserts BeF Twin II meets strict technical, environmental standards and are characterized by high efficiency. The tunnel effect which these fireplaces creates is a great way to connect two rooms. 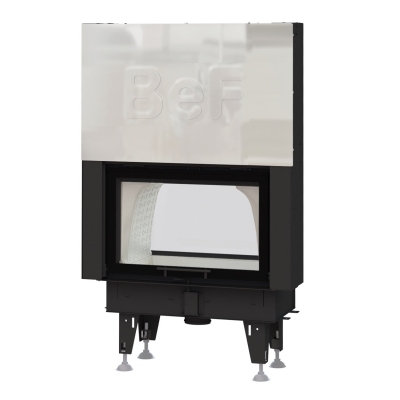 These fireplaces are also adapted to the rear fueling. Exceptional look-through fireplace inserts brings warmth and joy from live fire, so they are one of the most popular solutions for your home. The new pull-out system ensures the smoothest, most easily controlled door shift and, above all, perfectly silent operation. This solution is the most comfortable design which has never been seen so far. It is equipped with two counter-weights and both of them has their own guiding axes. A sophisticated door pressure ensures a perfect tightness of the furnace. This roller is the best at all aspects you can find on the European market. 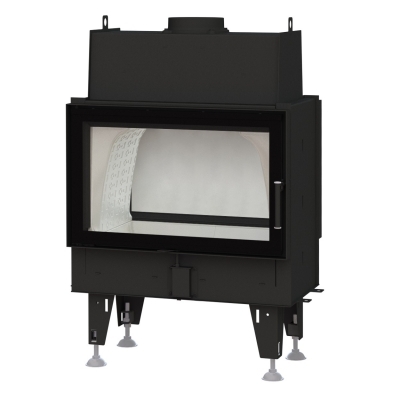 Revolutionary is also new, different shape of combusting chambers which design is based on aerodynamic tests. This way we can reach perfect model of a flue gas flow. A structured active surface of carcons catches particular particles with subsequent combustion. Possibility variant with full rear door (marked with letter N) is the ideal solution for fueling eg. from a technical room. up to 100%. 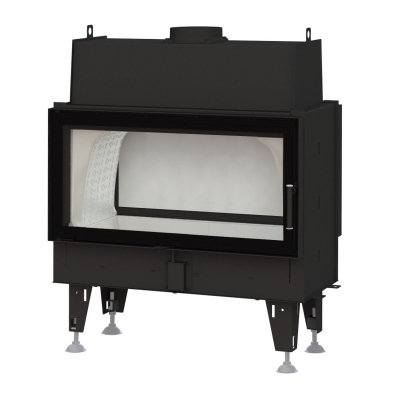 The fireplace stays heated much longer thanks to this the most massive material on the market.